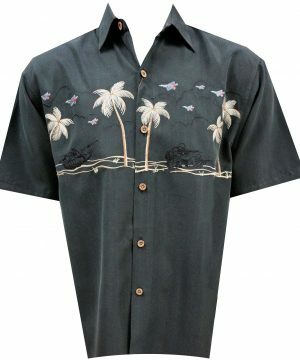 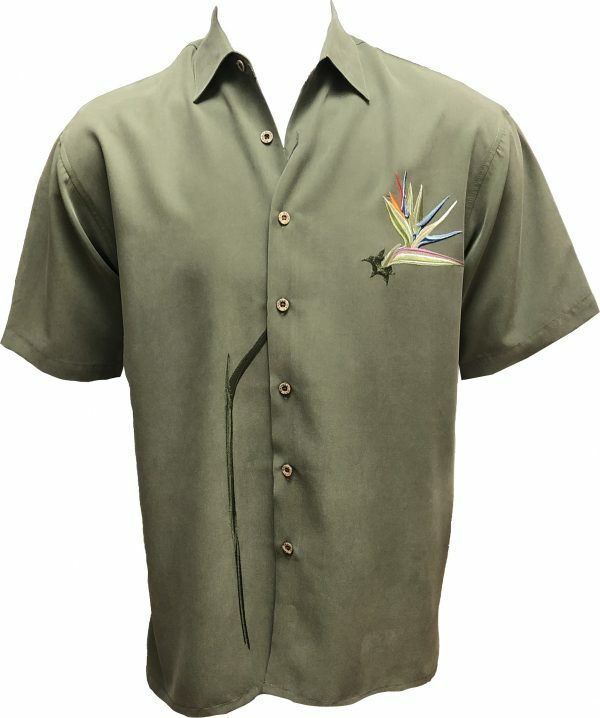 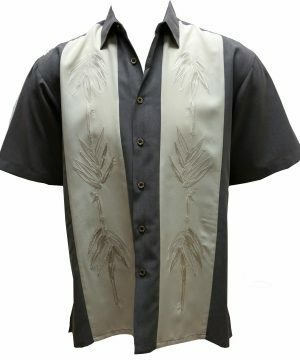 Front embroidered camp shirt featuring a tonal Bird of Paradise stem embroidered on the wearer’s right side towards underneath the placket and an embroidered colored Bird of Paradise flower on the wearer’s left side, designed with the idea that it is tearing out of the shirt. 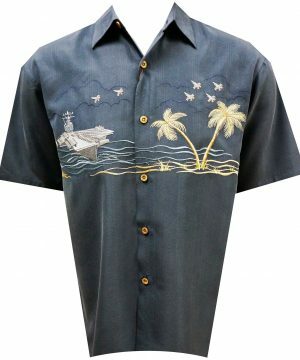 Very gorgeous and low key shirt men’s shirt. 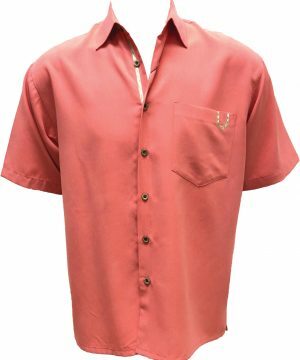 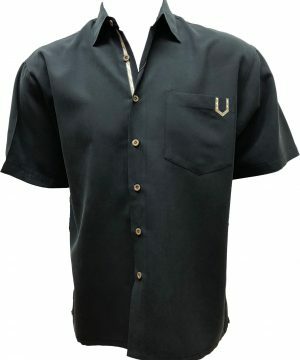 Embossed on a quality soft, rich, textured modal fabric….this embroidered camp shirt is a must have for any individual wanting to relax or go to a special event. 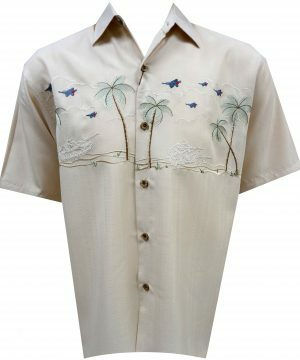 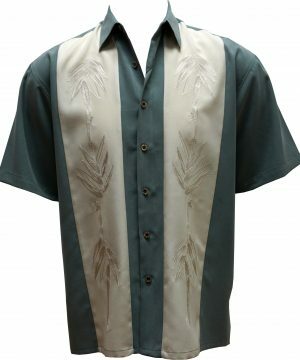 Point collar and comfortable side vents, makes this Bamboo Cay shirt drape very well and relaxed. 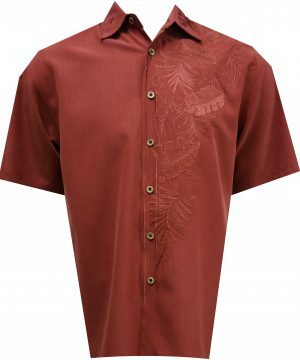 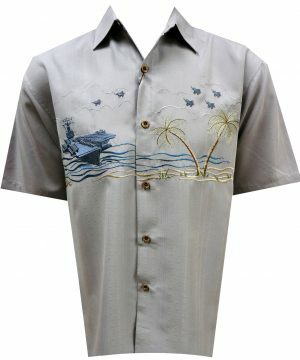 This Bamboo Cay shirt will get you noticed without drawing attention to yourself.